What is a Skin Lesion/Skin Cancer Removal surgical procedure? Skin Lesion Removal is a surgical procedure that involves the removal of an abnormal, benign or cancerous lesion within the skin. Why is the Skin Lesion Removal surgical procedure Performed? 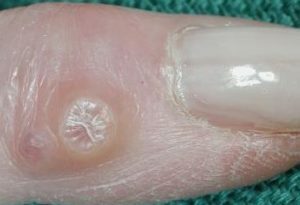 In some cases, freezing a wart and/or actinic keratosis (cryotherapy) may be performed instead of removing it. Some superficial lesions may be shaved. However, for many skin tumors, the Skin Lesion Removal surgical procedure is a gold standard procedure. 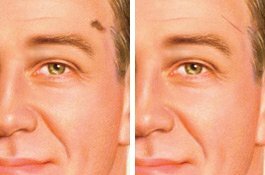 What is skin cancer/skin lesion removal? ATYPICAL MOLES are unusual-looking benign (noncancerous) moles, also known as dysplastic nevi (the plural of “nevus,” or mole). 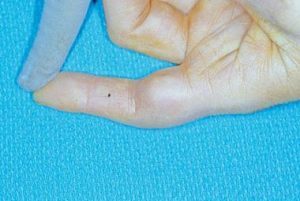 Atypical moles may resemble melanoma, and people who have them are at increased risk of developing melanoma in a mole or elsewhere on the body. The atypical changes are typically graded as mild, moderate, and/or severe. The higher the number of these moles someone has, the higher the risk. Those who have 10 or more have 12 times the risk of developing melanoma compared with the general population. Your health insurance plan should cover skin cancer surgery, related complications or another surgery to reconstruct your appearance. 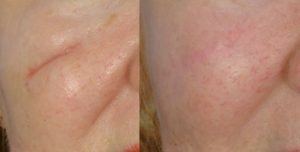 The removal of most other pigmented and non-pigmented skin lesions, and soft tissue growths (cysts, lipomas, etc.) 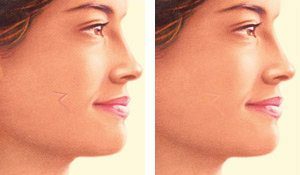 are likely covered services, especially if there have been recent changes (such as enlarging or becoming darker and/or irregular), producing symptoms such as discomfort and/or numbness, there is a family history of skin cancer and/or melanoma, and the lesion is located in a delicate area such as the nose and/or eyelid. Pre-certification may be required for reimbursement or coverage. The practice of Michael P. Vincent MD FACS and our surgical facility participate with almost all health insurance plans and will verify this for you and submit all appropriate paperwork. During your skin cancer removal surgery recovery, incision sites may be sore, red or drain small amounts of fluid. Sun exposure to healing wounds may result in irregular pigmentation and scars that can become raised, red or dark. Sun exposure may increase the risk of the development of skin cancer in another region of your body. Although every effort is made to restore your appearance as closely and naturally as possible, the most important factor is that your skin cancer is effectively removed. Following your physician’s instructions is essential to the success of your surgery. It’s important that the surgical incisions are not subjected to excessive force, swelling, abrasion or motion during the time of healing. Our plastic surgeons will request your consent for Skin Lesion Removal procedure using an Informed Consent Form. Once you have been diagnosed with skin cancer, you are at a higher risk to develop another skin cancer. Skin cancer may reoccur. So, it’s important to discuss the signs of skin cancer with your physician, regularly perform self-examinations for suspicious lesions and schedule an annual skin cancer screening. Skin cancer removal cost varies. 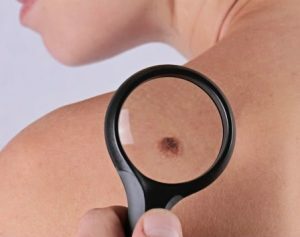 A surgeon’s cost for skin cancer removal surgery may be based on his or her experience, the type of procedure used and the geographic location of the office. Since our practice and facility participate with almost all health insurance plans, these fees have been set by your plan. Each plan may have a deductible and/or copay. When choosing a board-certified plastic surgeon for skin cancer removal surgery, remember that the surgeon’s experience and your comfort with him or her are just as important as the final cost of the surgery. Do you need a Second Opinion prior to the Skin Cancer or Skin Lesion Removal Procedure? Skin cancer surgery involves many choices. The first and most important is selecting a board-certified plastic surgeon you can trust who is a member of the American Society of Plastic Surgeons (ASPS). Photos and illustrations are from multiple sources and serve as examples and are meant to be helpful, informative, and educational. No implicit guarantees regarding similar results can be given. Additional information and the above text can be found on the ASPS website. Cost is always a consideration in elective surgery. Prices for scar revision procedures can vary. 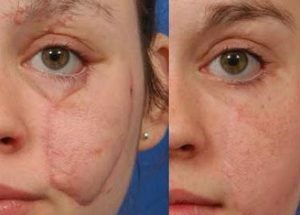 A surgeon’s cost for scar revision may vary based on his or her experience, the type of procedure used, as well as geographic location. The practice of Michael P. Vincent MD FACS and our surgical facility participate with almost all health insurance plans and our office will be glad to check the pre-certification requirements of your health plan. 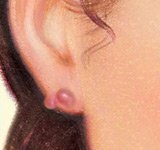 Many plastic surgeons offer patient financing plans for scar revision, so be sure to ask. Our practice participates with CareCredit. Most health insurance plans will not cover scar revision surgery if done for purely cosmetic reasons. Our office will help you with this distinction. Your satisfaction involves more than a fee. When choosing a plastic surgeon for scar revision surgery, remember that the surgeon’s experience and your comfort with him or her are just as important as the final cost of the surgery. What should I expect during a consultation for scar revision? The decision to have scar revision surgery is extremely personal and you’ll have to decide if the benefits will achieve your goals and if the risks and potential complications are acceptable. Your plastic surgeon and/or staff will explain in detail the risks associated with surgery. 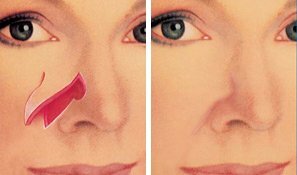 Scar revision surgery may be performed in your plastic surgeon’s ofﬁce, accredited ofﬁce-based surgical facility, an ambulatory surgical facility or a hospital. Your plastic surgeon and the assisting staff will fully attend to your comfort and safety. You will be given specific instructions that may include: How to care for yourself following surgery, medications to apply or take orally to aid healing and reduce the risk of infection and when to follow-up with your plastic surgeon. If you experience shortness of breath, chest pains or unusual heartbeats, seek medical attention immediately. Should any of these complications occur, you may require hospitalization and additional treatment. Following your physician’s instructions is key to the success of your surgery. It is important that the surgical incisions are not subjected to excessive force, abrasion or motion during the time of healing. Your doctor will give you speciﬁc instructions on how to care for yourself. Follow all postoperative instructions carefully, including cleansing and at-home treatment regimens, and avoid sun exposure. Your cooperation will influence the outcome of your surgery. How should I prepare for scar revision surgery? 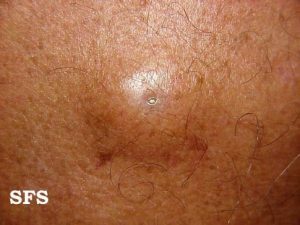 If the scar revision is performed in an area of prior skin cancer, the tissue may be forwarded to Pathology. What should I expect during my scar revision recovery? The practice of medicine and surgery is not an exact science. Although good results are expected, there are no guarantees; and in some situations, it may not be possible to achieve optimal results with a single surgical procedure and another surgery may be necessary. Photos and illustrations are from multiple sources and serve as examples and are meant to be helpful, informative, and educational. No implicit guarantees regarding similar results can be given. If your hand is impaired in any way, surgery may improve your condition. This type of very specialized surgery can treat diseases that cause pain and impair the strength, function and flexibility of your wrist and fingers. Surgery seeks to restore to near normal the function of fingers and hands injured by trauma or to correct abnormalities that were present at birth. Hand surgery is an integral part of the plastic surgeons’s training. 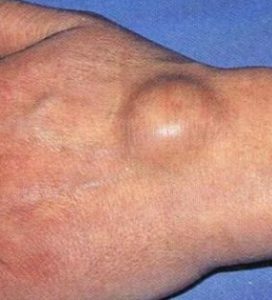 Skin and soft tissue tumors/growths of the hand: This includes the removal of most skin and connective tissue nodules and/or growths including skin cancer, moles, other pigmented lesions, ganglion cysts of the hand, digital cysts of the fingers, and benign tumors like giant cell tumors and lipomas. 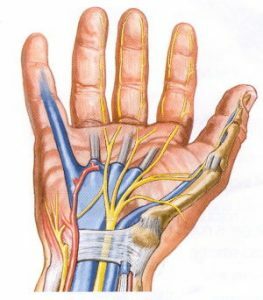 Carpal tunnel syndrome: A condition caused by pressure to the median nerve within the wrist, or carpal tunnel. You might feel pain, a tingling sensation, numbness of the fingers, weakness or aching. Carpal tunnel syndrome is associated with multiple conditions including: repetitive motion or overuse, fluid retention during pregnancy, injury to the nerve in the carpal tunnel or rheumatoid arthritis. 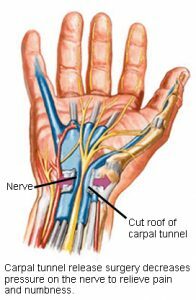 Carpal tunnel release involves releasing the overlying ligamentous tissue that is compressing the median nerve in order to alleviate the pain and numbness associated with carpal tunnel syndrome. This can be performed by the traditional “open” approach or an endoscopic approach. 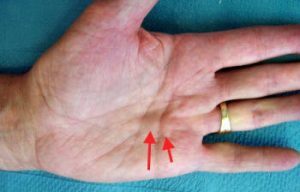 Dupuytren’s contracture: A potentiallly disabling hand disorder in which thick, scar-like tissue bands form within the palm and may extend into the fingers. It can cause restricted movement, bending the fingers into an abnormal position. 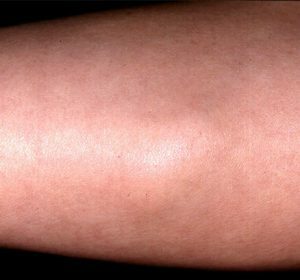 Injections using XIAFLEX® (collagenase clostridium histolyticum) may prove helpful in some cases. Trigger finger release: Trigger finger is a painful condition that causes the fingers or thumb to catch or lock when bent. In the thumb its called trigger thumb. A tendon usually glides easily through the tissue that covers it (called a sheath) because of a lubricating membrane surrounding the joint called the synovium. Sometimes a tendon may become inflamed and swollen. Prolonged irritation of the tendon sheath can produce scarring and thickening that impede the tendon’s motion. 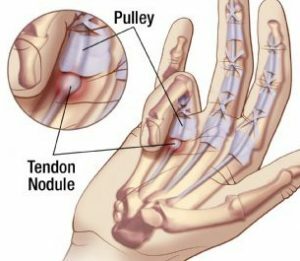 When this happens, bending the finger or thumb can pull the inflamed tendon through a narrowed tendon sheath, making it snap or pop. 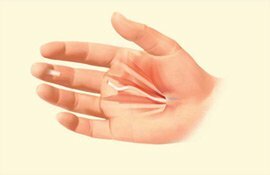 Patients with painful conditions like carpal tunnel syndrome, rheumatoid arthritis and Dupuytren’s contracture may be suitable candidates for hand surgery. In some conditions, hand surgery is necessary to treat wounds and injuries. Plastic surgeons are often involved in treating patients who come to the emergency room with severe hand trauma. You will be given specific instructions that may include: How to care for your hand(s) following surgery, medications to apply or take orally to aid healing and reduce the risk of infection and when to follow-up with your plastic surgeon. 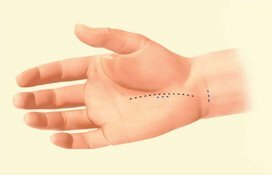 Strict elevation of the operated hand is crucial in the postoperative period. The end result of your hand surgery is directly related to following your therapist’s and plastic surgeon’s instructions. The final outcome of your hand surgery will develop over time. While advances in hand surgery can accomplish near miracles in reconstruction and replantation, your outcome cannot be fully predicted. For certain traumatic injuries, it may not be possible to achieve completely normal function. If you had surgery to correct carpal tunnel syndrome, modifying work habits as recommended is vital to long-term improvement. Your final outcome may not be realized for several months. If your procedure involved microsurgery, a year is considered appropriate to fully reach restored function. 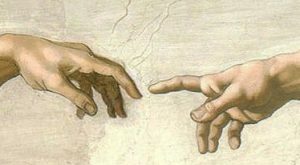 When fingers are fused together at birth, called syndactyly, they may be joined only by a web of skin or by skin and a partial fusion of bones. 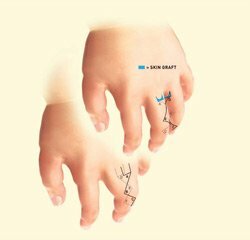 Surgery involves separating the two fingers to provide a full range of motion and a normal appearance, as well as permitting more normal finger growth. Techniques such as skin grafting or a local flap procedure like Z-plasty create flexibility at the incision site for growth and movement of the fingers. Your plastic surgeon may recommend one or a combination of techniques to achieve your goals. Some of those techniques include: microsurgery, grafting of skin, bone, nerves or other tissue from healthy parts of the body, z-plasty and physical therapy. The decision to have hand surgery is extremely personal and you’ll have to decide if the beneﬁts will achieve your goals and if the risks and potential complications are acceptable. Your plastic surgeon and/or staff will explain in detail the risks associated with surgery. You will be asked to sign consent forms to ensure that you fully understand the procedure you will undergo, the alternatives and the most likely risks and potential complications from hand surgery. The success and safety of your hand procedure depends very much on your complete candidness during your hand surgery consultation. You’ll be asked a number of questions about your health, desires and lifestyle. Your plastic surgeon will also discuss where your procedure will be performed. Depending on the type of surgery you will undergo, your procedure may be performed in your plastic surgeon’s accredited office-based surgical facility, an ambulatory surgical facility or a hospital. If your hand surgery is performed on an outpatient basis, be sure to arrange for someone to drive you to and from surgery and to stay with you for at least the first night following surgery. Cost is always a consideration in surgery, whether to repair your hand or to reconstruct your appearance. A surgeon’s cost for hand surgery may vary based on his or her experience, the type of procedure used, as well as geographic location. The practice of Michael P. Vincent MD FACS and our surgical facility participate with almost all health insurance plans, so fees have been predetermined by your health plan. Each health plan may have its own deductible and copay. Most hand surgery procedures are covered services by your health plan. Your health insurance plans will likely cover hand surgery, related complications or another surgery to reconstruct your appearance. Pre-certification is generally required for reimbursement or coverage. Our office will be glad to verify the pre-certification requirements for you. Hand surgery involves many choices. The first and most important is selecting a board-certified plastic surgeon you can trust who is a member of the American Society of Plastic Surgeons (ASPS).